Browse: Home / 2018 / August / 21 / POET LAWYER PM VAJPAYEE LED INDIA BY RIGHT— HE LOVED SEASONS & TASTES— A PERSUASIVE & AMBIGUOUS ORATOR WHO PLACED INDIA ON THE NUCLEAR PODIUM – SHED NON-ALIGNMENT & INDIA’S LICENSE RAJ TO BEFRIEND USA & ATTEMPTED FRIENDSHIP WITH A WAYWARD PAKISTANI GENERAL——RIP SIR! Readers may question IDF’s temerity to write about one of India’s great Prime Minister’s – late Atal Behari Vajpayee. The Latin ‘temere’, means boldness. In India; Brahminical restraints are imposed, so IDF seeks indulgence, as Vajpayee was a poet and enjoyed life, and servicemen must appreciate him as a rounded personality, that services respect as leaders. Few uniformed have written about Vajpayee as he never favoured any one, or credited one person or a creed. He believed in collective efforts and respected the Military. Let Gen VP Malik and Chiefs of his time speak. 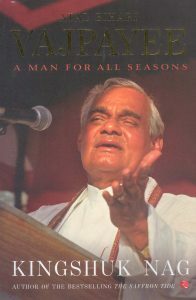 Vajpayee’s role Vis a Vis Advani and his opponent Murli Manohar Joshi in politics and such, is written about, and shows Vajpayee carried all his enemies with him with his poetry or oratory. RSS No 2 Sudershan suddenly arrived to meet PM Vajpayee when BJP was first elected to form the Government and said RSS does not want Jaswant Singh, a military man to be a Minister. Jaswant had lost his election just as AVBP Jaitley in 2014. It shows RSS views and hold over BJP. PM Vajpayee appointed 11th course NDA Col Jaswant Singh as Deputy Chairman of the Planning Commission, then to the Rajya Sabha and made him Defence Minister. Vajpayee’s principle was not to bend, but just bow for a time. When Vajapayee was asked if he would leave BJP he said, “Jaieen to Jaieen Khya”. He is recommended to Services brass. Bow not bend plan a strategy, co-operate with Government to get what it is national interests. Vajpayee enjoyed a tot and loved to love, and relished an occasional Chinese meal at Taj’s House of Ming. On a visit to Moscow as EAM he felt tipsy as the Soviets plied him more than they should have. Vajpayee told his service aide to take him to his Hotel, tuck him into bed and not a word to anyone. Years later he thanked the officer. On his historic visit to Beijing as PM, Vajpayee privately joined Zhang Zemin for few Mao Tais after dinner and secured Sikkim, and in exchange gave a statement on Dalai Lama and Tibet. It was verbal, but both kept their word. The first of eighteen border talks began. Trust, but follow up, was his way as aide Shakti Sinha would say. In late 1990s a huge Rotor blade needed by an NTPC power plant was shipped on Waterman Shipping by GE to Mumbai with Bill of Lading (Like a Bank Draft) in name Consignee. Funds had not been released. 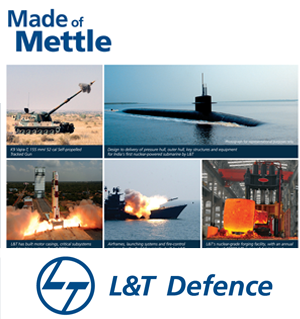 CMD RP Singh’s sent for IDF, who accepted an NTPC guarantee to pay, aware India has never defaulted on a Sovereign payment. It is India’s pride! RP Singh asked IDF to join in a lecture on shipping at NDC and contribute to the Infrastructure Report presented to PM Vajpayee. The report recounted the rise of nations through Ship building as in Europe in the 1800s, USA and Japan and Korea in 1900s and then China, depicting India’s turn to gain from Shipbuilding had come! All looked at PM Vajpayee to comment. His left eye looked shut and he kept gazing upward. Then loudly, “ye sab to hum jante the……Ye batao Idhar Kaise kare Ge,” (We knew all this…Tell me how to do it in India) and shuffled out. A sprit charged Manekshaw spoke in thanks and added, I have done X courses (named them in Quetta, India and USA), and added, “You can see the difference!” Silence followed. Vajpayee and Manekshaw both great leaders who could bow, but not bend. Jairam Ramesh in his book says Sam never said he was not ready for war to PM Indira in early 1971 and he relies on late Haksar’s papers……..The truth is, Mrs Gandhi used Sam’s stance to silence Jayaprakash Narayan and others baying for Mrs Gandhi to go to war, but she was able to delay for Bangla Desh, on Sam’s shoulders. The Bhagwat Vajpayee connection. 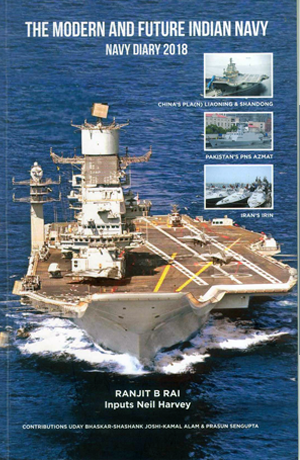 IDF wrote a book with JA Brig RP Singh on sacking of CNS Admiral Vishnu Bhagwat under PM Vajpayee. It was cleverly executed on 30th December, 1998 soon after officer hours, not legally done strictly under Rajdharama:- President’s Pleasure Article 310/311. It’s all in the book banned for military libraries by ex RM Fernandes. No military man studies the differences between civil servants and military officers in these two draconian Articles and Official Secrets Act 1923 vIs a avis Art 14/21 and how deviously it can and has been used. In Art 310/311 application of mind aspects need looking into by those who appreciate Democracy and Rule of Law. It was made by the British to protect British Officers abroad, not to be swords for misuse. We copied it like all laws. 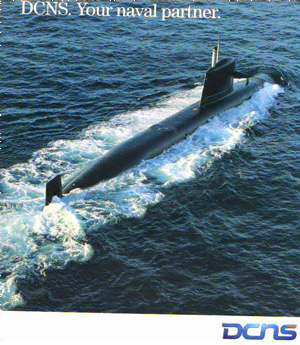 On 30th Dec, 1998 morning VADM Sushi Kumar was flown in from Cochin in a RAW plane and newly promoted and by letter signed by Addl Secretary MOD Bhagwat was removed. Bhgawat rushed fruitlessly, to the Army Chief his course mate from NDA, and then to the President. The Bhagwat connection was used by CM Jayalalitha to challenge NDA government in a high voltage drama in the media. She took up the case to reinstate Bhagwat which led to the fall of the Vajpayee Government by one vote, but Vajpayee did not believe in no horse trading. Vajpayee bounced back and approved Bhagwat’s full pension, showing Vajpayee’s magnanimity, who may have known he delegated wrong to Brajesh Misra and Fernandes as Jethmalani hinted. Vajpayee put India and it’s military on the world map on the Nuclear podium in May 1998. PM Vajpayee checkmated USA’s CIA with help of ISRO, and Abdul Kalam later President, BARC and Santanam and IDF learnt a lot of how it happened. Military ought to Salute Vajpayee like they would a Maneshaw as their stock rose first after 1971 then 1988. In 2000 PM Vajpayee spent year end, in Kerala’s Kumaragon and made a statement that he was willing to offer a lasting solution on Kashmir to Pakistan. Sadly the 1999 April response to Kargil incursions was delayed by a month due to lack of Command and Control which still breathes, but PM Vajpayee handled Kargil as best as any leader could. Gen VP Malik’s book tells a lot and how he gave the immediate verbal order, Jo Karna Hai Karo to push Pakistanis back and yet tried at Agra for a lull on the border, but was derailed by some BJP hard liners as Musharraf was not willing to add a few lines to stop terrorism, but seems to have agreed so, and Vajpayee was for that, but gave in to BJP consensus. Vajpayee was nick named “Atal Guru” for his intellect and personality in College in Gwalior’s Maharajwada area and students met at Godhaji restaurant. Later many including Promod Mahajan, who Vajpayee was grooming (known for collecting funds for the party) and Chandra Shekhar called him, “Guruji”. In 1940s in Gwalior College Vajpayee met a bright Rajkumari, daughter of Govind Narian Haksar an employee in the Education department. They exchanged letters in library books. Vajpayee left a last letter for her which she replied, but Atal never got it. During 1947 riots Rajkumari married a fine young Prof Kaul, who taught in Ramjas College in Delhi. 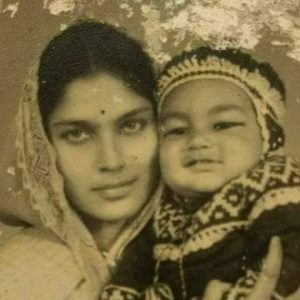 Vajpayee went to meet them in Rajas College and that is a story in itself as families lived together and Rajkumari answered phone callers and even conversed with wit, but never interfered, and only asked once if Vajpayee could attend her daughter’s (Bache Namita’s ) graduation in USA during his tour. The fine lady died in 2014. 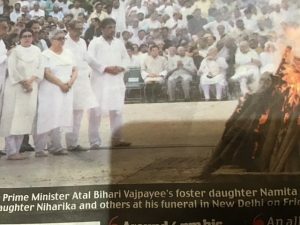 Namita as Vajpayee’s foster daughter lit his pyre, and granddaughter Niharika accepted the National Flag (See Photo). Navy used to see charming PM Vajpayee hobbling along and joking with ladies at Navy Days. PM Modi has not attended recently. It is IDF’S temerity to write this military and Romeo and Juliet post from books and sayings about Vajpayee checked and pieced together in 1500 words as IDF’s salute and pray India gets another ‘Atal’ for the tough days ahead.